There's a well-worn adage about surfing: You can't buy happiness, but you can buy a surfboard, and that's pretty close. Filmmakers and surf enthusiasts Rob Corso and E.J. McLeavey-Fisher head to the Rockaways, a popular NYC beach community, to ride out the last break of summer. And capture it on film for us. This is one you should watch in full screen mode. 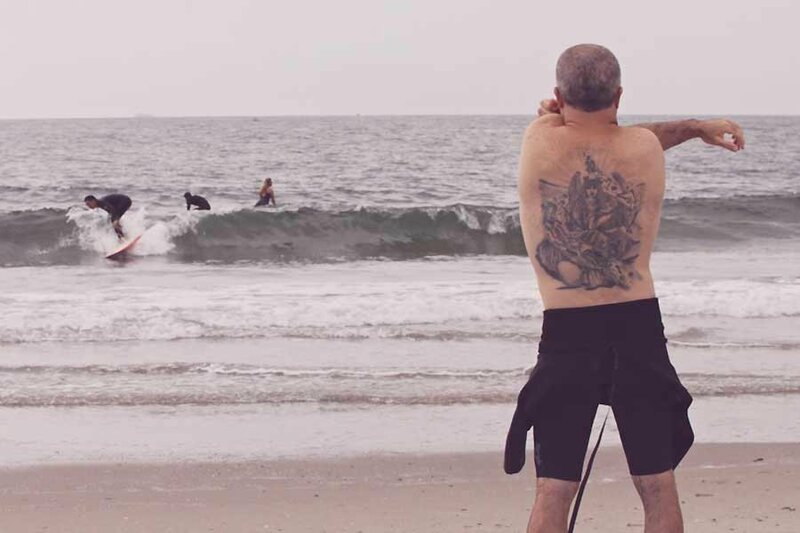 NEW YORK CITY – It always surprises me how many people don't know that you can surf in New York City. When Mother Nature gives a swell to the Rockaways, you can be sure to find an ocean full of city surfers. The surf culture is strong in the Rockaways. It has what most beach enclaves have: a small town feel, local entrepreneurs, an eclectic cast of beach bums, old salts, and town celebrities. Lately, a little of that New Brooklyn sensibility has spilled into this Queens beach town. You may not find another beach like this in the world accessible by a metropolitan subway system. And with a handful of surf schools ready to give you lessons, you have no excuse not to get on a board. There are few better feelings than catching your first wave. Watch this in full screen. You'll want to be totally immersed in it. Rob is a filmmaker in NYC. You can follow him on Twitter and Instagram and see his work on his website. He travels for the escape.